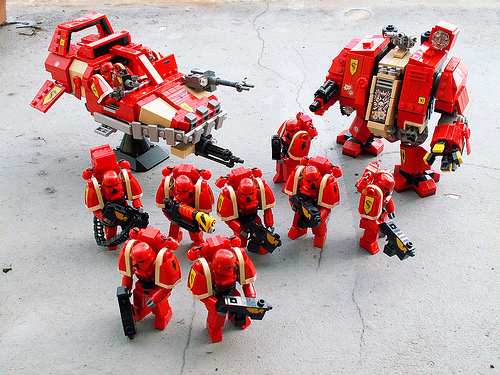 Jerac has built some fantastic renditions of Warhammer 40K space marines. He’s built several marines, and given them a matching Landspeeder and Drednaught. I’m especially impressed with the way he came up with to render the trademark oversized space marine shoulder pauldrons. These are just fabulous, very well done.